Chances are, that as you are reading this article, you are one of the millions of runners and joggers who take to the streets every day. Whether you do it for fun, for relieving stress or just for the health benefits, running is very good for you – there is no doubt about that. However, like any sporting activity, running can lead to foot problems and injuries. Luckily, these are all treatable and even preventable too. Let’s look at the most common foot injuries you can get from running. Over 2 million people will get heel pain each year, making it one of the more popular injuries, with running being one of the top causes. The problem with heel pain is that it is usually an underlying issue that could be plantar fasciitis, where the plantar fascia tissue that stretches from the heel to the ball of your foot becomes damaged and inflamed. The pain usually occurs around the heel area and often is felt first thing in the morning or after you have been resting for some time. Running with this is possible, and you will most likely feel the pain at the beginning of the run, but as you train the plantar tissue will become stretched, and the pain will lessen. However, after you have run and had a rest, it will come back with a vengeance. Running with heel pain can be the worst thing you can do. Although you might not feel the pain when you are running (after a while) you are just doing more damage to the tissue and you will regret it later. Conditions like plantar fasciitis will heal if you see a podiatrist and follow their recommendations, but if you continue to run, you risk making the pain much worse and the recovery times much longer. I know that this might be the hardest thing for a runner to do, but resting your feet is the best medicine for painful heels. Take at least a week off from any exercise that involves weight bearing down on your feet (running, football etc). If you must exercise, try something with less stressful impact, such as swimming or yoga. Ice is a great treatment for heel pain and should be used to help reduce any swelling or inflammation if you have heel pain after running. You can either use a gel ice pack, which are available from many places or online, or use a bag of frozen vegetables wrapped in a towel if you have nothing else to use. Click here to see a great foot ice pack on Amazon. 3. Massage your feet and heels. You can use your hands to massage the area of your heel affected by the pain, but there are products that are better that just doing it yourself. and foot massage balls are excellent as you can roll your foot over them when they are on the floor, directing the massage to the right place. Some of these products can also be used by putting them in the refrigerator first or heating them in warm water to add an extra level of pain relief. These products really are the unsung heroes of helping reduce heel pain after running and should be used as soon as possible after your exercise. If you can’t afford a proper massage product, a tennis ball rolled under the sole of your foot will give a similar effect. You probably already have a routine of stretches to do before running and stretches and exercises for after running anyway (well all do that.. right?) but adding a few more specific stretches to your routine will help decrease any heel pain problems. Tight calf muscles and heel pain are linked, so making sure you give some extra focus to stretching these muscles will help. You can also do some simple rotations of the feet and pointing the toes up and down. For extra benefit, perform some toe stretches by sitting with one leg crossed over the other and pulling back your toes so you can feel the stretch across the sole of your foot. This simple exercise is great for treating plantar fasciitis related heel pains. If you can touch your toes, try doing the toe stretch at the same time and you will be stretching your calves and fascia at the same time. Achilles tendinitis is a pain that starts at the back of your heel and up into your calf muscle. When you are running, tendinitis pain can be very sharp and stabbing, but you will also feel the problem when you are resting, which is most likely to be a dull aching pain. Also, like plantar fasciitis, the pain will be the worse first thing in the morning when you step out of bed, or after resting for long periods. If you plan to run with this injury, you will have to put up with pain in your heel to begin with, which may reduce during the run. You will also find that running uphill or taking stairs is especially painful when you have Achilles tendinitis. A heel spur is quite a generic term that people use for painful heels and feet, but it is a specific problem. A small calcaneus lump of bone can form at the back of the heel, usually in patients that suffer from Plantar Fasciitis or similar problems. The lump can be very painful to walk with, and your doctor will be able to identify that it exists by using X-ray. Other causes of heel spurs include sports, a tendency to be overweight or that you are just spending too much time standing up. It is also an affliction that seems to affect women more than men. The best treatment for heel spurs is to use orthotics and to rest and ice the affected area. In the worst case scenario, surgery may be needed, but this is only used as a last resort. These painful fractures usually happen to the metatarsal bones, which are the long bones that form the middle of your foot. A stress fracture refers to the fact that there is a break in the bone, but it is not complete. The bone is broken but not all of the way through. If you get a stress fracture from running, you may feel the pain suddenly in the middle of a session, rather than afterwards. Also, this injury is not from kicking or damaging your foot from any sort of impact, it is typically related to overuse. The most common symptom of a stress fracture will be a sudden sharp pain across the top of your foot. You may see bruising or swelling in the same area too. If you get any of these symptoms, you will need to see a podiatrist and most likely have to wear some sort of rigid shoe or cast for a few weeks to allow the bone to heal properly. You will also have to stop running and exercising until the pain has gone. 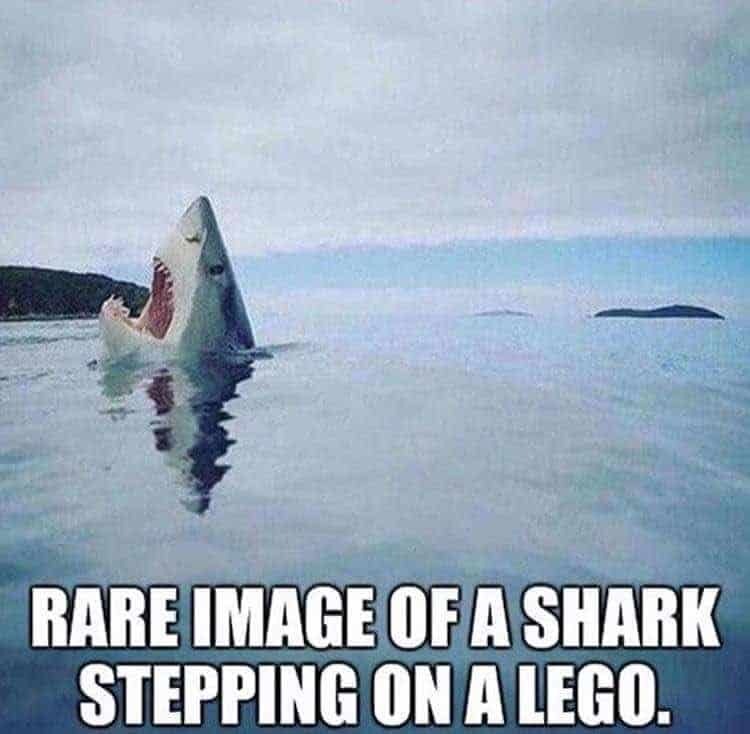 If you have young children who play with LEGO, you probably know that stepping on a small hard object with your heel can end up causing you excruciating pain. Even though the heels of our feet are quite sturdy, smaller objects can cause bruises to the pads which can make walking very painful afterwards. If you think of the weight pressing down through your heel, the possibility of injury is actually quite high. If you step on a small object such as a stone with bare feet, you can cause a small but very sore bruise. The best relief for these sorts of injuries is rest, anti-inflammatory medicines such as Ibuprofen and a slight alteration to walk on the balls of your feet for a while until the pain goes away. If you are a trail runner, you may be more susceptible to this injury that someone who runs on a track or road. This is because you are using different muscles and tendons when you are running on uneven ground, making it more likely to get an injury. The most common form of ankle sprain is known as an inversion ankle sprain. This where the ligaments on the outside of your ankle become torn. This is usually caused by your foot rotating or turning inwards, while your ankle moves in the opposite direction. When this happens, any of the 3 ligaments that surround and hold the ankle joint in place can become torn. The less severe sprains are due to a partial tear of one of the ligaments, but they can be torn completely – several at a time. If you are lucky and only get a mild sprain, the treatment for this will be rest, ice and support for a few weeks to allow it to heal. If the sprain is more severe, you would need to wear an ankle brace or a cast to hold it in position. If you are finding it hard to walk on the ankle or there is any amount of swelling or bruising, then you need to see a doctor straight away. You may find that you need an x-ray to make sure there is no additional damage like a broken bone. The doctors will also need to measure the stability of the joint before they decide if a cast is required. If the sprain is severe, your recovery time will be at least 2-3 months. Long-term recovery could possibly stretch out to a year or more. If you suspect any sort of sprain, go to your doctor straight away and get it checked over. There is no point in taking any chances with these injuries as they can be very painful for a long time. If you decide not to see a doctor and the pain is still there after 5-6 weeks, definitely seek medical attention from a doctor or podiatrist. I guess that a blister is not really an injury, but they can be very painful and stop you enjoying your run. The most common place for a runner to have a blister appear is on your heel or on the toes themselves, both caused by friction. Actually, blisters are your body’s way of protecting the internal layer of skin (the dermal layer). When the outer layer of skin begins to rub off, your body produces the yellow fluid in between the 2 layers of skin as an additional level of protection. This creates a cushion to stop the friction from causing any more damage, allowing the dermal layer to regrow and repair. How to deal with blisters. Treating small blisters is not really worth it, and the only thing you can do is try to prevent them from appearing in the first place. Using the right socks and wearing proper supportive shoes will help reduce the possibility of getting a blister. However, it is not always possible to avoid getting them at all. If the blister is small, they can be left alone to heal on their own, but you should always keep an eye out for any infection. You don’t ever need to pop your blisters, as this can lead to dirt and infection getting under the skin and causing more problems. Once you see where you are developing a blister, try to take note and see where the friction might be coming from. It could just be something as simple as that your sock was creased when you went for your last run, or that your shoes might be wearing out or giving in a particular place. If you must drain a blister (larger ones might need to be removed to allow you to walk correctly, for example), then use a needle that has been sterilised and only make a small hole to let the fluid to seep out. See this video on how to drain a blister properly. There is no need to remove the top layer of skin as the fresh skin underneath will be raw and sore. Make sure you keep the area clean and dry after draining the large blister, but there is no need to use any creams or ointments. You can still run after you have drained the blister, but it is a good idea to use some moleskin (a type of band-aid) to cover the area. The moleskin will be waterproof and should keep stuck on for a few days, but try to keep it as dry as possible. If it does start to come away from your foot a the edges, just cut those pieces away with some scissors. Ideally, you should try to keep the moleskin on for around 3-4 days, which will allow plenty of time for the blister to heal correctly. If you try to remove it before this time has passed, you risk ripping off the outer layer of skin, leaving you with an open wound that will be very painful. If you think that there is any new pus or redness after this time, the blister may have become infected, so seek medical attention as soon as possible. If you find that your toes or feet are itchy, red and have peeling skin, then you may be suffering from foot fungus or athlete’s foot. Fungus of the toenail can be identified by the discolouration or the toenail or if you can see white or blotchy areas. Unfortunately, fungus loves to grow in warm and moist areas, which as a runner, your feet are the perfect environment. Fungus of the feet never really causes any significant issues for you and is usually just something that is annoying, more than anything. However, if left untreated fungus of the toenail can develop into ingrowing toenails, which can be very painful and may require surgery to have them sorted out. Treatments for toe and foot fungus. If you think you have foot fungus, there are many treatments available over the counter from your local drugstore or online. Try starting with some anti-fungal powder and a . Ideally, look to reduce the possibility that your socks and shoes will become too warm when running. There are special running socks and ventilated shoes available that might help with this. Toenail fungus is also easily treatable and can range from ointment that you apply to the affected area or pills that you take to kill the infection internally. Again, preventing it from happening is your best course of action. Using good quality running socks is ideal and make sure you have a good fit for your running shoes too. Will Barefoot Running reduce my injury risk? In his book about barefoot running, Born To Run by Christopher McDougall, he sets about learning the ways of the Tarahumara Mexican tribe who can run 100’s of miles barefoot without injury. This tribe use certain techniques to allow them to run barefoot that has inspired the running world to follow suit. When I ran The Big Half race in London in 2018, I followed a cool hippy-looking dude who was running barefoot all the way through the streets. To me, it just looked painful! The book has ignited a passion in people to either run barefooted, or to use shoes such as the Vibram FiveFingers, that are essentially a rubber glove for your feet. However, will barefoot running lead to a huge increase of painful feet? Or is the “back to basics” idea the perfect way to fix bad feet for good? As a mechanical object, the foot has many parts that work together to produce a solid base for your body to be propelled by or a soft “unlocked” structure, supple enough to meet with uneven surfaces and maintain balance. The possibilities for injury, stress or damage are massive and many things including your body type, weight, gait and structure can made a difference to this possibility. However, the most common cause of painful feet is bad choices when it comes to footwear. It’s all about the shoes. Having good supportive footwear is the best way to avoid any foot or ankle injuries – and that includes when you are running. Anyone with painful feet should be definitely wearing shoes that help correct any hyper-pronation or issues with the way the foot is held when placed on the floor. Running barefoot could possibly make this worse. Perhaps if you had been running without shoes since you took your first steps, it would be a different story. Using minimalist running shoes or running with bare feet can cause metatarsal stress fractures, as some runners have found, even after doing the planned migration from shoes to no shoes and even after running for several months with no problems. Barefoot running is not easy. Although barefoot running is probably just a fad, you would not be able to switch from normal running shoes to barefoot without possibly sustaining an injury. The correct advice (as per the Born To Run book and barefoot running shoe manufacturers) is to start slowly and build up your distance over a long period of time. The Born To Run book also recommends changing the way you run, taking shorter strides to lower the impact on your feet. This will also help reduce foot pain and is possibly something you should be doing anyway if you are a runner as this will help reduce the impact of each step on your feet. Should I try barefoot running? So, should you start running in bare feet to help cure your foot pain? My advice would be not to do so, unless you are prepared to build up slowly over time, starting with only a few minutes at a time (at the most). After all, you are having to unlearn a whole lifetime of walking in shoes and relying on nice padded footwear – your feet, legs and body are not going to forgive you for that easily, so expect some injury, pain and frustration. If you are already suffering from some sort of foot pain such as Plantar Fasciitis, bare foot running will either make it worse or could make it happen if you haven’t got it already. However, some research has tried to prove that wearing shoes causes Plantar Fasciitis, not the other way around – so the evidence is contradictory. What can I do to help reduce barefoot running injuries? Moving to using no shoes or “foot gloves” to run in can be a long and painful experience. If you are determined, try some strengthening exercises first to help start to build up your feet. Exercises that stretch the Achilles tendon will also be useful as you will have to start running on the balls of your feet (with a forefoot strike) rather than striking with your heel when you land. As you might be thinking already, there are not many surfaces in the modern world that are perfect for barefoot running, unless you can get to a local park or beach. You might be scared that you will be treading on sharp stones or even broken glass with each stride. This is quite a common reason for people NOT to start running in bare feet, so try to think of somewhere that will be practical and just take it slow, watching where your foot will be placed with each step. As always, I am not a qualified Podiatrist or medical person, so speak with your doctor and they will be able to either advise you, or refer you to a physio or podiatrist who will be able to examine your foot properly and tell you if your idea of becoming a Mexican tribesman overnight is such a great idea after all. What runners can expect when they see a Podiatrist? We runners can be a stubborn lot. No matter what injuries we have, we quite often ignore advice and decide to go for a 10 mile run on the same day as receiving treatment for an injury. Often, the will and need to run is greater than the pain I suffer afterwards. Even if podiatrists tell runners to take it easy for a week, it is not likely that this advice would have any effect. If you do need to see a podiatrist, what should you expect on your first visit? If you are a runner and are suffering from foot pain, a great tip to bear in mind when you go to see your podiatrist, is to take along your running shoes with you to your appointment. The podiatrist will be able to look at the soles of the shoes and see from the patterns of wear and tear if you are suffering from any particular problems when training. These can be vital clues for them to help get rid of your painful feet. This video shows Dr Jenny Sanders from the Financial District Foot & Ankle Center discussing how to check if your running shoes are worn out. Hopefully, the podiatrist should also ask you to perform a “functional gait analysis” – which, to you and me, is just them watching you walk and run so they can observe any problems with the way you are running. They are not looking to tell you that you should be holding your head in a different position (although that might have an effect on the way you walk and run) – more that they can see that you might be putting more weight on a certain leg when landing, or that your foot or ankle twists in one direction when the other does not. These sorts of things are almost impossible for you to see yourself. Also, a “static foot evaluation” will be done to check other functions of your foot and ankle. This is also important, but the functional test can often reveal problems more readily. Do the feet pronate or supinate for any reason (bend the wrong directions for too long)? Are the ankle, knee and hip joints all aligned correctly when running and walking? A hip issue can affect the feet too. Are your pelvis and spine aligned correctly when running? Is your upper body also relaxed when you run? Tension anywhere else in the body has a massive effect on the way you walk or run, so this needs to be investigated. If you take a look at the top marathon runners in the world, you will see that none of them have the “ideal” or most efficient body style – but they can still run very long distances over very quick times. Every body (and everybody) is different and therefore no specific running style can help reduce the risk of getting painful feet, but having your body shape checked is important if you are looking to become the next Mo Farrah. Plantar fasciitis – the runners injury. As you can see, these issues all affect the lower part of the body, so taking care to make sure you are running correctly is important. Not just for your feet, but for all of you. The podiatrist will also expect you to take action with the advice you have been given. I remember being asked to do calf stretches that would help my plantar fasciitis, but ignoring the request for a few weeks. Once I did take action on what I had been asked to do, it made the world of difference to my general well-being. Does Plantar Fasciitis Also Cause Leg Or Calf Pain?